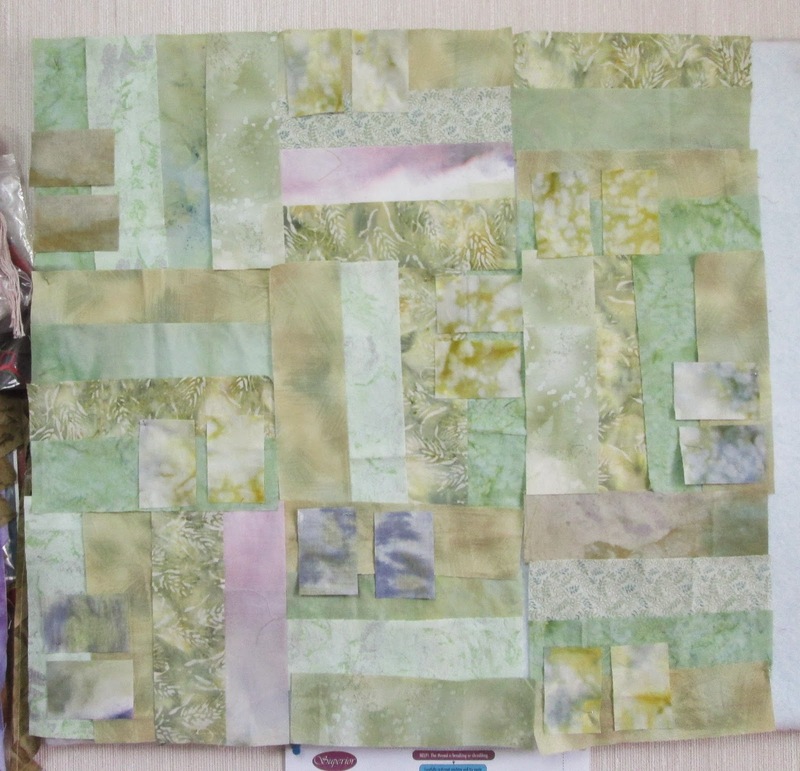 Margaret Blank: Thoughts from a Textile Artist: Happy Spring, Happy Quilting! And outside my front window right now, Mother Nature's undecided: "Rain? Or snow? Or maybe a wee bit o' both?" I replaced the too-blue strips with a combination of more yellow-green/spring-green strips and some with hints of lilac/mauve a la crocus...And I'm letting it "percolate" a bit before I commit to sewing 'em together. While they 'perc', I'm linking up to Nina Marie's Off the Wall Friday...and doing some hand work. I think our weather may be changing but you can't stop a crocus once it starts to bloom! great line up! I like the crocus addition. 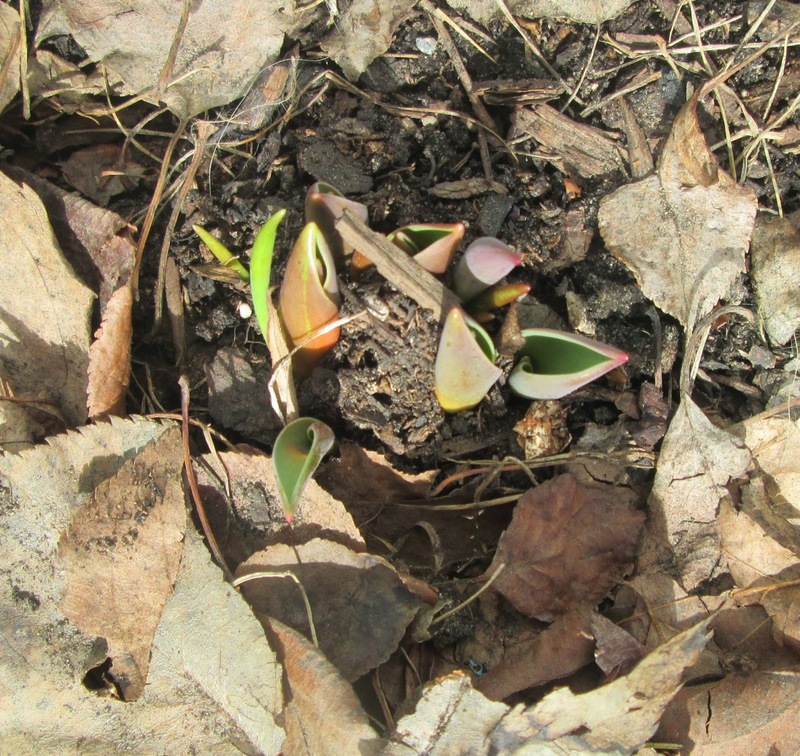 Hi Marg...There are little bits of green popping up here in Ontario as well, and sadly, its snowing! If you consider that this might just be the blanket the day lily's need, I guess it is tolerable. Wishing you sunshine.... thanks for sharing at OTWF. Love to see a crocus even if its online. I woke up to snow. Not enough to shovel but enough to cover the ground. All is white again. But spring will come. Your crocus is the harbinger.